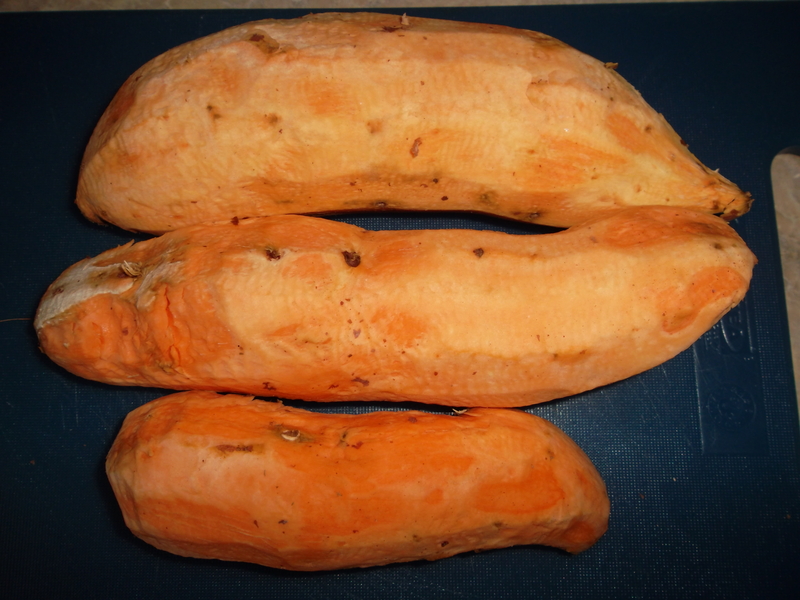 You do remember we have a love of sweet potatoes right? Because if WE can make it = YOU can totally make it. We’re not chefs. We don’t spend hours at the farmer’s market or grocery store looking longingly at all the possibilities and conjure up the next great meal. We look around online, find something that we both want to try, buy the ingredients and go for it. As a kid growing up (Tara), I often ate a dish called “Dana’s dish”. Dana is my mother’s name and the dish was basically a replication of the S.A.D. 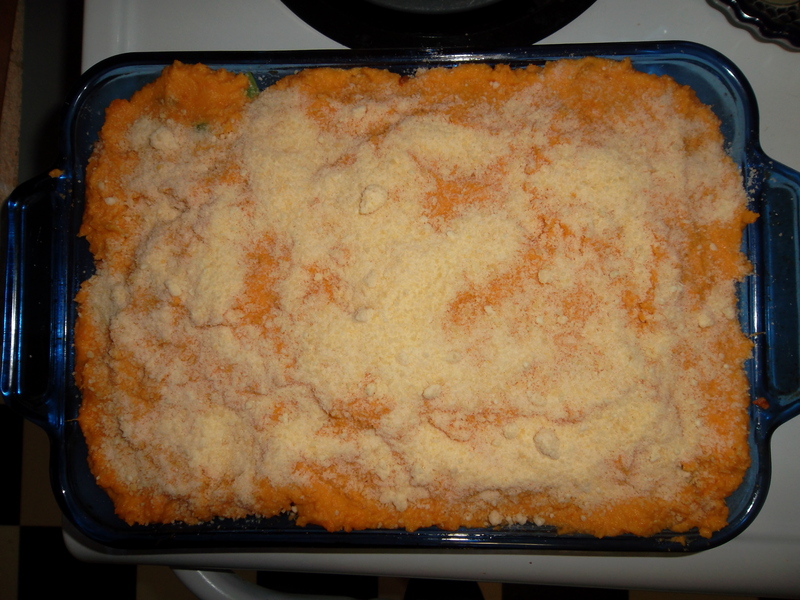 (Standard American Diet) Shepard’s pie. The fact that my mother called it “Dana’s Dish” made it that much more special. I didn’t even know there was another version of Dana’s Dish until I was an adult…Yes, I might be that gullible. Point being, whether you call it Dana’s Dish or Shepard’s pie, it is delicious and a great recipe to have on hand. 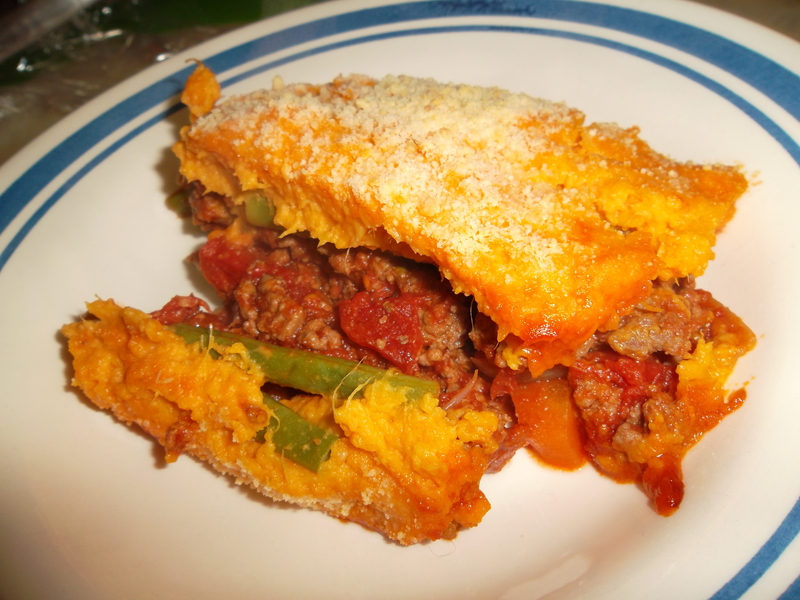 We came across this Sweet Potato Shepard’s Pie (Dana’s Dish) over at MealsAndMoves blog. Funny story that goes a long with finding this recipe: At the same time Meegan was looking over this recipe, I was reading MaM’s blog post about using someone else’s recipe and photos as your own (with a link back to the exact recipe Meegan was looking at). 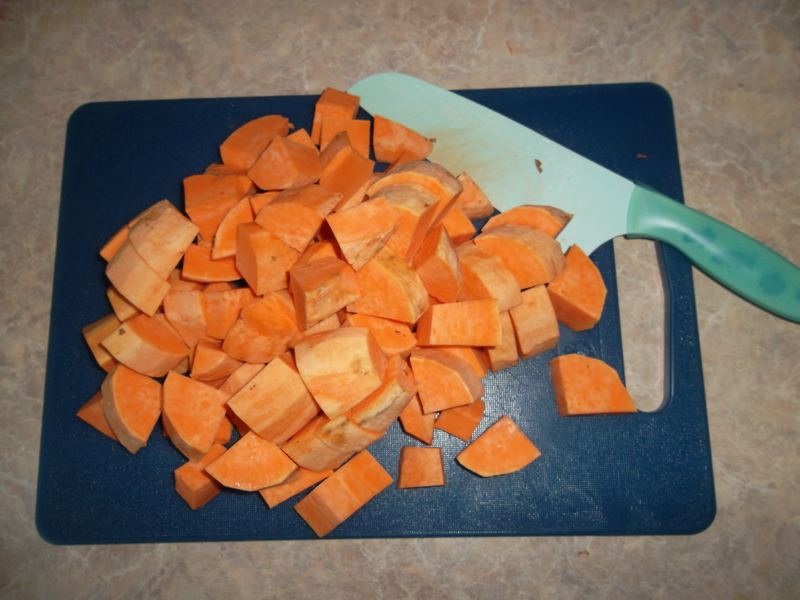 Peel and cube sweet potatoes just like you would as if making mash potatoes. Put them in large pot, fill with water and boil until cooked tender. 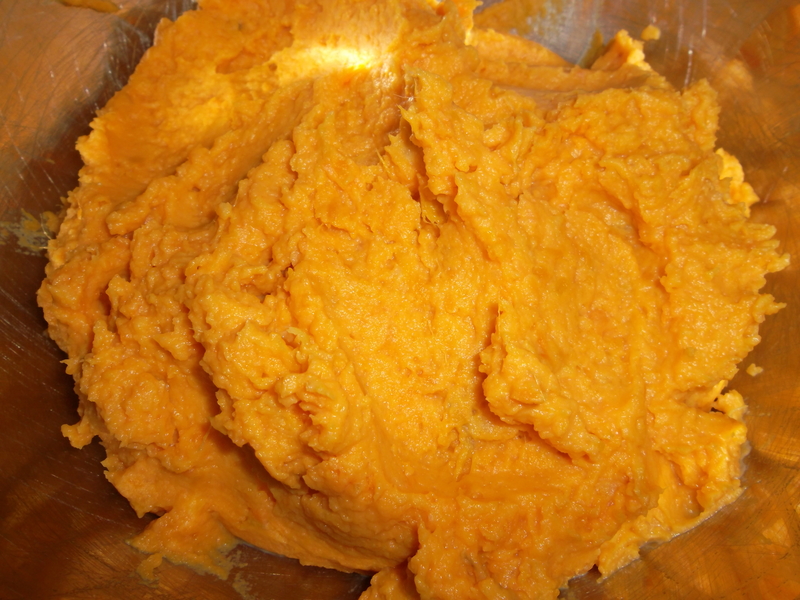 Once tender, drain and mash (using a little bit of milk as you would with regular potatoes). 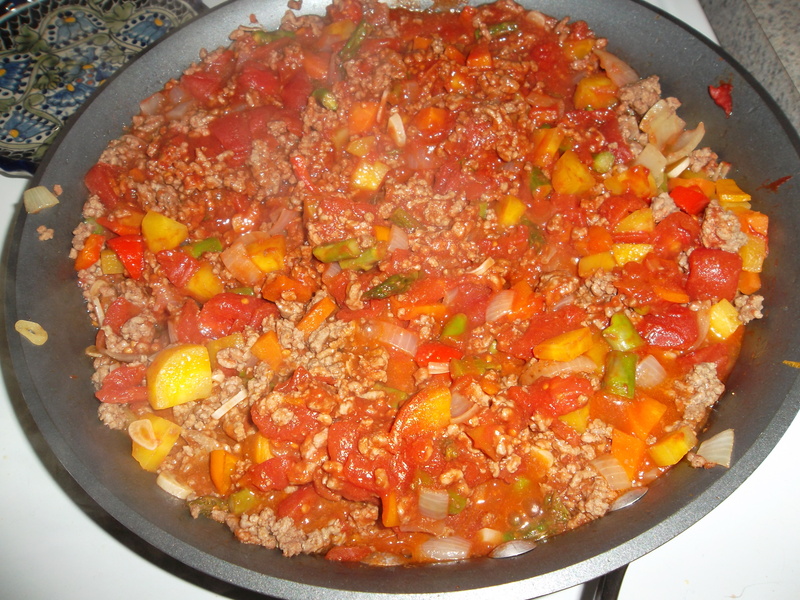 Cook and drain ground beef (use a little fat from beef to cook veggies). 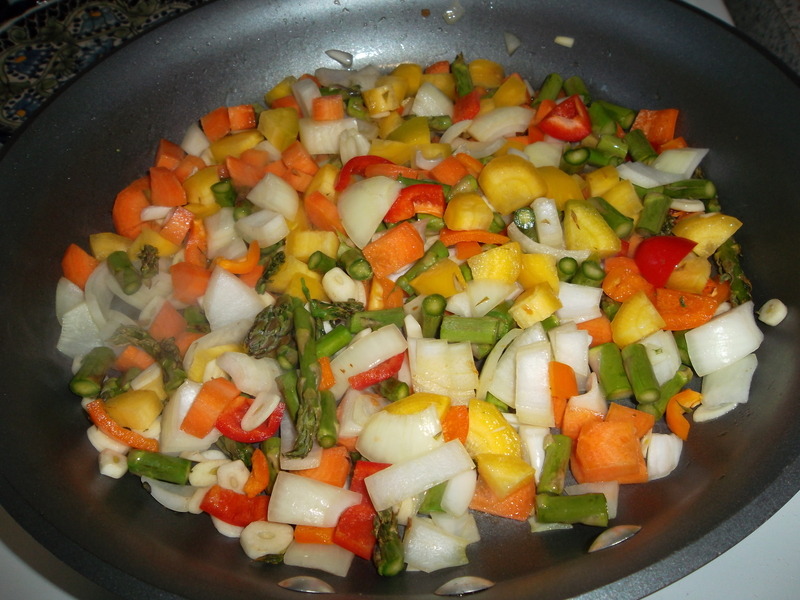 Add diced carrots, onion, asparagus, peppers and garlic to pan and cook until tender. 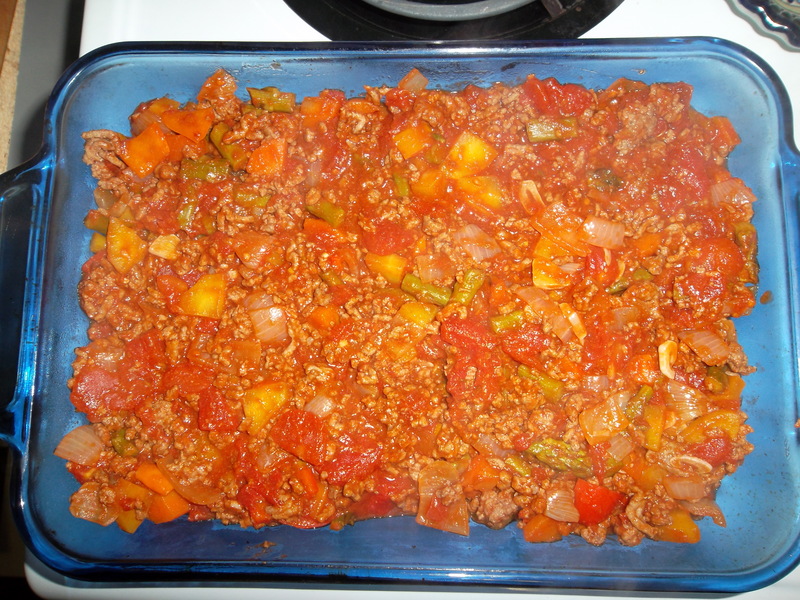 Add diced tomatoes (remember to drain first) and tomato paste, mix well and continue to cook until hot and tasty! 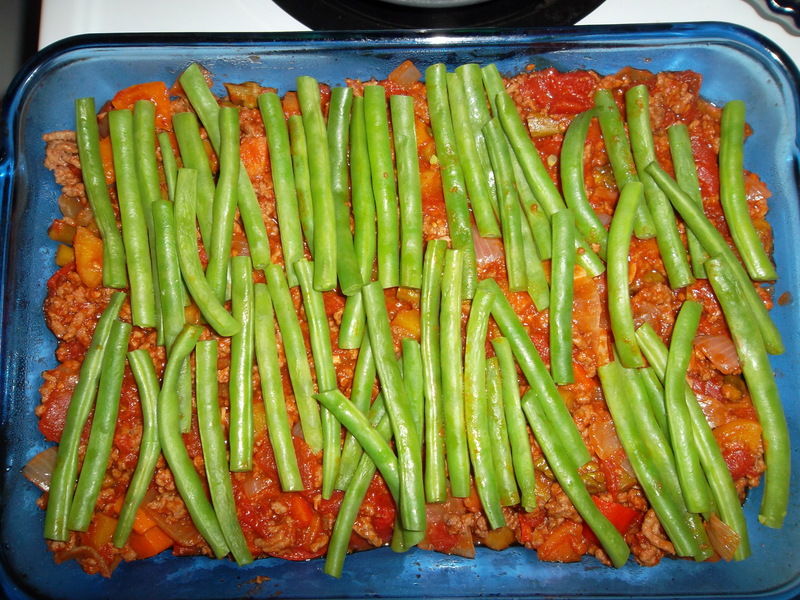 Once everything is layered and ready to go, cover with foil and place into oven at 375F for approximately 30 – 40 minutes. For the last few minutes you can remove the foil and turn the oven to broil to get that crispy cheesy goodness if you desire! This is another recipe that presents a lot of opportunity to change things up to whatever your eating choices may be. Change the vegetable combination. Change the type of meat. Leave out the tomato paste, make homemade tomato sauce and go paleo. No matter how you change it (or don’t change it) we can pretty much guarantee that this is gonna be a delicious. Okay, I love the use of asparagus! I gotta try that. And what a weird coincidence with the recipe. Thanks for the link back and thanks for sharing your experience!! 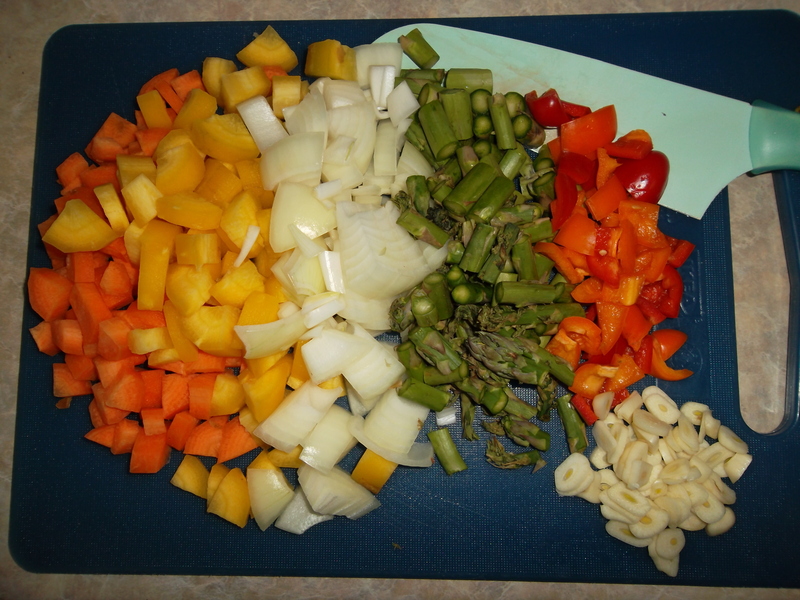 we try to put as much variation on vegetables in meals as much as possible. Color is everything is an important rule around here. Found you guys in today’s FF link love. MUST make this! My kids would gobble this up (and I would too). Thanks for sharing. Totally printed this out and can’t wait to try it!